Death Row research papers discuss the section in prison where inmates are kept separate from other prisoners to await their execution. Death Row is usually referred to as the place in a prison where inmates are kept as they await their execution. In a prison death row inmates are kept separate from other prisoners. While on death row and in isolation, some inmates become mentally unstable because of being alone for such a long period of time. Some even attempt their own death by suicide. This mentally instability is known as the death row phenomenon. Some argue this is an overly cruel form of punishment. Paper Masters can compose a custom written research paper on Death Row that follows your guidelines. Once sentenced to execution they may live on death row in solitary confinement for years. 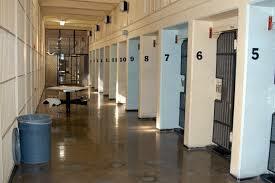 Inmates may sit on death row for such a long time because of the judicial system and appeal process. The National Coalition to Abolish the Death Penalty works hard to do away with death row. In 2010, the average time an inmate sat on death row was 15 years. During that time, many inmates died of natural causes. Jack Alderman holds the record for being the inmate who stayed on death row the longest before his execution in 2008. He lived on death row for 33 years. Gary Alvord, another death row inmate from Florida lived on death row for 43 years until he died from a brain tumor. Leroy Nash holds the record for being the oldest person on death row. He was 94 years old when he died of natural causes. There is a federal civilian death row and also a federal military death row. Women and men are housed in different death row facilities. Individual states also have their own death row. There are some states that have higher rates of inmates on death row. Some of these states also have a higher rate of execution when compared with the national average. The states that have the highest numbers of executions are Texas, Virginia, and Oklahoma. California, Pennsylvania, Texas, and Florida are the states that have the most inmates on death row. Women and Capital Punishment Research Papers question the reasons why there are few women that receive death penalty. Order a research paper on capital punishment from Paper Masters. Profile of Women Executed Research Papers discuss women that did receive the death penalty, and their characteristics. Ethical Argument for Capital Punishment research papers discuss the death penalty in an online essay for college political science classes. Pro Death Penalty research papers can argue any view of the death penalty that you want. Alternatives for Death Penalty for Mentally Challenged Research Papers to study different punishments. Florida Death Penalty Research Papers account when the death penalty was used in Florida. Death Penalty research papers overview capital punishment in the United States and the world. History of Capital Punishment research papers make it plain to see that putting people to death for crimes against other people or the state has been occurring for thousands of years. Prison Crowding Research Papers go into how the populations increase has caused problems in prisons such as putting all types of prisoners together. Prison Privatization research papers look to the private sector to build new prisons. Buy a custom criminal justice research paper on whatever topic you specify. Paper Masters writes custom research papers on Death Row and discuss the section in prison where inmates are kept separate from other prisoners to await their execution.